My New Mobile Phone: Nokia 2630 | Where is Joe.in? Last night I bought a Nokia 2630 to replace the seminal Nokia 3310 I purchased from Bahrain Airport Duty Free in June 2003. Although my 3310 is almost indestructible, its size, age and malfunctioning “0” key meant the time the time for a new mobile phone had well and truly arrived. 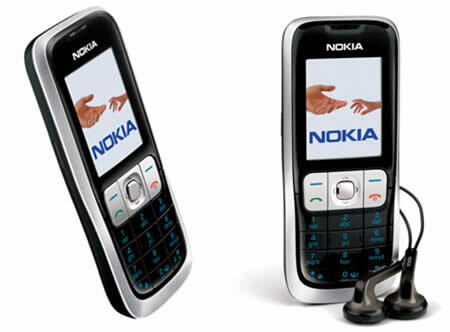 The 2630 is twice as slim as the 3310 and yet contains so many extra features: bluetooth, FM radio, VGA camera, video recording, full colour screen, e-mail, support for MP3 ringtones, etcetera, etcetera. Despite the mobile phone’s small size and multiple features, it still cost only $149 from an Optus dealer for use with Optus pre-paid plans. The phone is locked for either 6 months or until I charge it with $80 worth of credit. The 2630 must be a popular model as the first two Optus dealers I visited had sold out and I only got the last phone at the third dealer. I have had one or two small issues with the screensaver and finding the predictive text function (just found it!) but overall I’m full of praise for the 2630. I’ve just entered the 21st century world of mobile communications!